BOISE – Gov. 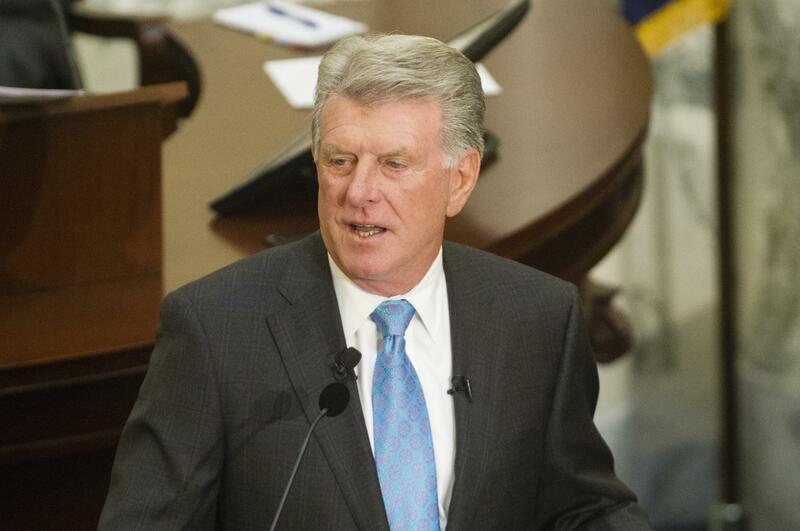 Butch Otter is asking the Idaho Supreme Court for permission to get involved in a lawsuit challenging how long a governor has to veto legislation. In a petition filed Tuesday, Otter’s attorneys argue that the Republican governor should be allowed to intervene because it was Otter’s veto that sparked the lawsuit. Currently, the lawsuit only names Secretary of State Lawerence Denney as a respondent. Idaho Falls GOP Reps. Ron Nate and Bryan Zollinger launched the case earlier this year arguing that the Idaho Constitution says a governor has 10-days to veto a bill immediately after the Legislature adjourns. The lawsuit was filed after Otter vetoed legislation that would have repealed the state’s 6 percent sales tax on groceries. Idaho’s top lawmakers counter that the deadline kicks in when the governor receives the bill. Published: May 3, 2017, 11:39 a.m.